Wilson Elementary opened in 1927. Additions were made to the school in 1946, 1949, 1953, 1967 and 1968; a major renovation took place in 1981. The school again was renovated and additions were made in 2003-05 with the expansion of the media center. Central heat and air conditioning were installed, and a new parking lot was created for staff and visitors. 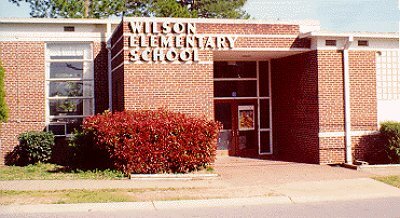 Wilson Elementary honors Woodrow Wilson (1856-1924), the 28th President of the United States. Thomas Woodrow Wilson, the son of a Presbyterian minister, was an educator, historian, author, lawyer and statesman. During his career as an educator, he was a professor of history, political science, jurisprudence and political economy at Bryn Mawr, Wesleyan and Princeton universities. He served as president of Princeton University (1902-1910) and governor of New Jersey (1911-1913) before being elected President of the United States, serving from 1913 to 1920. President Wilson approved the first honest tariff reform legislation since the Civil War; imposed the first income tax; passed the Federal Reserve Act (establishing the Federal Reserve Board and 12 Federal Reserve banks across the country); created the Federal Trade Commission to outlaw unfair trade practices; and prohibited child labor. 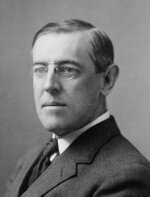 Wilson served as the U.S. leader during World War I and worked diligently to bring the war to an end and establish world peace. He established the League of Nations with his "Fourteen Points" address in 1917, and he won the Nobel Peace Prize for his efforts in 1919. Wilson suffered a severe stroke that same year; afterward, he and his wife Edith retired to their home in Washington where he lived the remainder of his life. He is entombed in the Washington Cathedral.